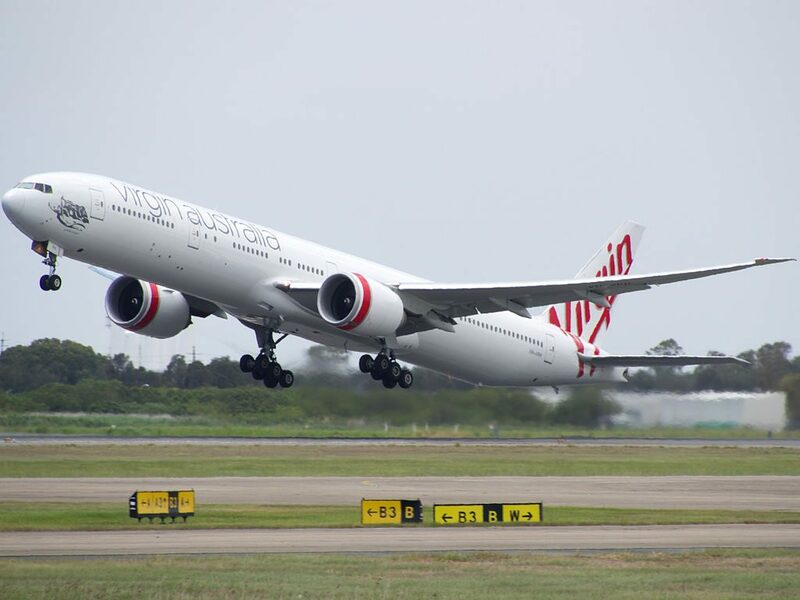 Virgin Australia Fleet Boeing 777-300ER Details and Pictures. 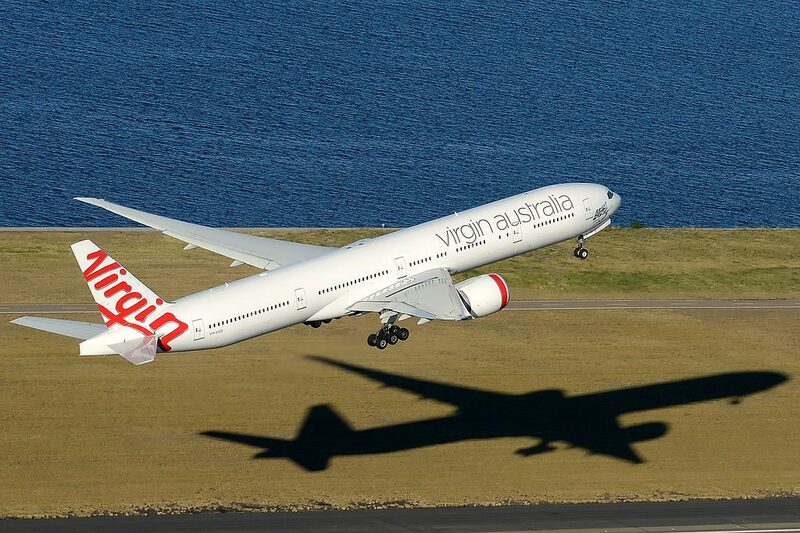 Currently Virgin Australia operates 5 wide-body long-haul aircraft Boeing 777-300ER. Boeing 777 is two-engine turbojet airplane that was fully constructed without paper drafts using only 3D computer graphics. 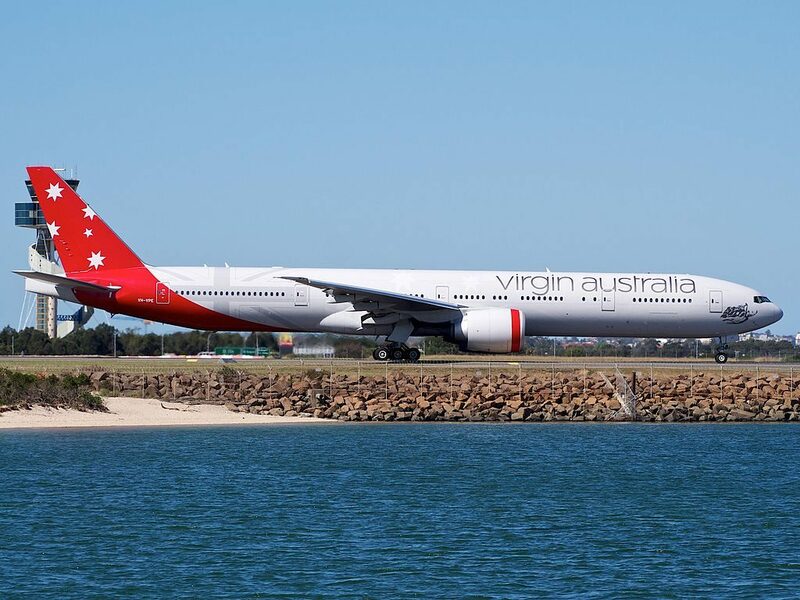 This aircraft flight on Virgin Australia long-haul routes, that also serves by Airbus A330-200. There are 37 seats in Business Class, 24 seats in Premium Economy, 75 seats in Economy X and 203 seats in Economy Class. 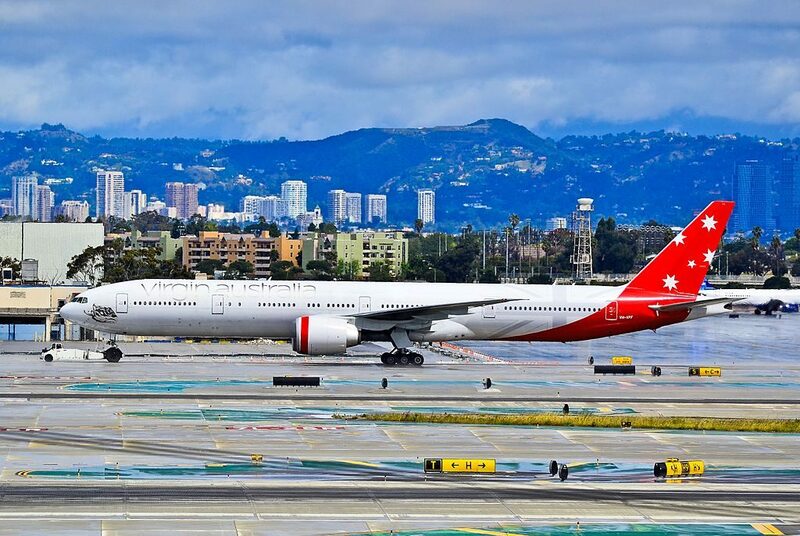 This Boeing 777-300ER aircraft seats 339 passengers in a three-class configuration and is used on long-haul routes. 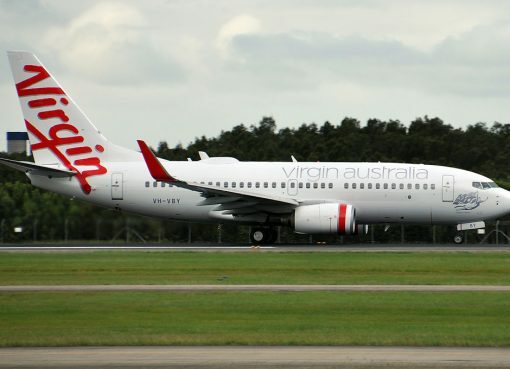 There are 37 seats in Business Class, 24 seats in Premium Economy, 75 seats in Economy X and 203 seats in Economy Class. Business class consists of 37 flat bed seats that have 180 degrees recline. These seats are located in two sections. First section consists of 7 rows of seats. The best seat here is considered the seat 1A because it offers more privacy. Location of the lavatory in front may cause discomfort to passengers of the seats 1G and 2K. The noise from the bar and lavatory located behind will represent problem for passengers of the seats 6DGK and 7A. Behind the exit row another 4 rows of business class seats are located. Thanks to the exit row located in front the seats of the 8th row offer additional space for passengers’ legs. However, close location of the bar and lavatory may be bothersome as well as for passengers of the seat 9A. Behind business class 24 recliner seats of premium economy class are located. These seats have 9 inches recline, are located in 3 rows that have 2-4-2 configuration. The only disadvantage of the seats of the 15th row is lack of floor storage during take-off and landing. Limited recline and proximity of the galley and lavatories are the main disadvantages of the seats of the 17th row. Economy class may accommodate 278 passengers. The seats of the economy class are divided into three sections. First section has 6 rows of seats: 2 rows with 3 seats each and 3 rows have 3-3-3 configuration. Passengers of the seats 20HJK, 21ABC and 21DFG will take advantage of extra legroom. 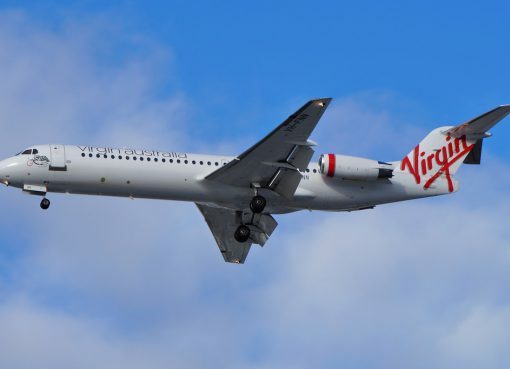 Among disadvantages: lack of floor storage during take-off and landing, reduced width and close location of the galley and lavatories. Limited recline is the main disadvantage of the seats 25DFG. The second section of economy class seats is located behind the exit row. This section consists of 13 rows of seats that have 3-3-3 configuration. Due to the exit row located in front the seats 26BC, 26DFG and 26HJ offer extra legroom. The legroom of the seats 26A and 26K on the contrary is limited because of the exit door that protrudes inside. 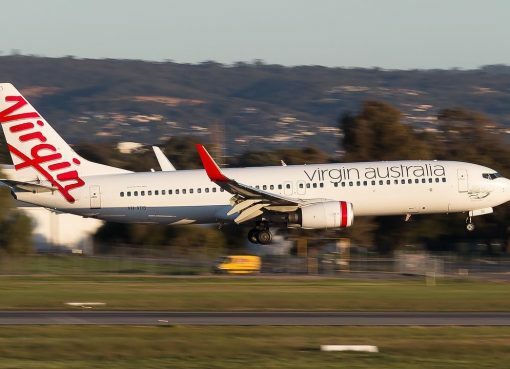 Also the seats of the 26th row have the following disadvantages: no floor storage during take-off and landing and reduced width because the tray tables are in the armrests making them immovable. Location of the galleys and lavatories behind and limited recline are the main disadvantages of the seats of the 38th row. The third section of economy class seats is located behind another exit row. There are 14 rows of seats here. 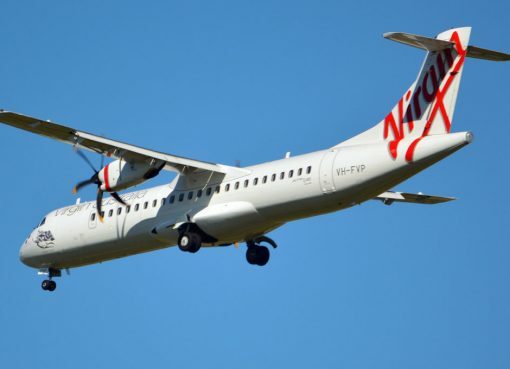 Passengers of the seats 39BC and 39HJ will take advantage of extra space for their legs while the seats 39A and 39K have limited legroom due to exit doors protrusion. Passengers tend to congregate in the area of the seats of the 39th row while waiting to use lavatories and thus causing discomfort to passengers of these seats. As the tray tables are built-in the armrests the width of these seats is reduced a little. Lack of floor storage during take-off and landing is another disadvantage of these seats. As there are no seats behind the seats 50C and 50H are often bumped by other passengers passing by. Close location of the lavatories will cause inconvenience to passengers of the seats 51B, 51 DFG, 51J and 52AC, 52HK. Limited recline makes the seats 51DFG, 52AC and 52HK bad seats. Seatback in-flight entertainment system with 26.9cm (10.6in) screen. Seatback in-flight entertainment system with 22.9cm (9in) screen. AC Power. Every Business Class seat has a 110v AC universal power port. Economy and Premium Economy seats have no power ports. 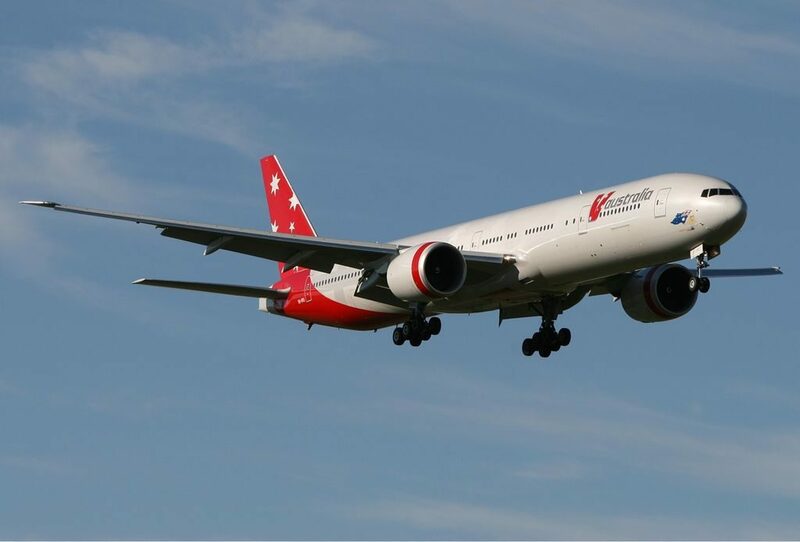 Thanks to visiting AirlinesFleet.com and read article : Virgin Australia Fleet Boeing 777-300ER Details and Pictures.